Mining pools often offer different locations when it comes to stratums. The location is certainly not insignificant since a higher latency means more stale shares which result in lower efficiency and lower profits. In the hope to overcome this problem, experienced mining managers are carefully selecting the most regional-relevant pools for their mining operations. We wanted to improve the process of finding “the right one” and make it faster, easier, and more approachable. Sonar is our latest software that will help all mining managers to quickly discover the best pools in terms of latency. 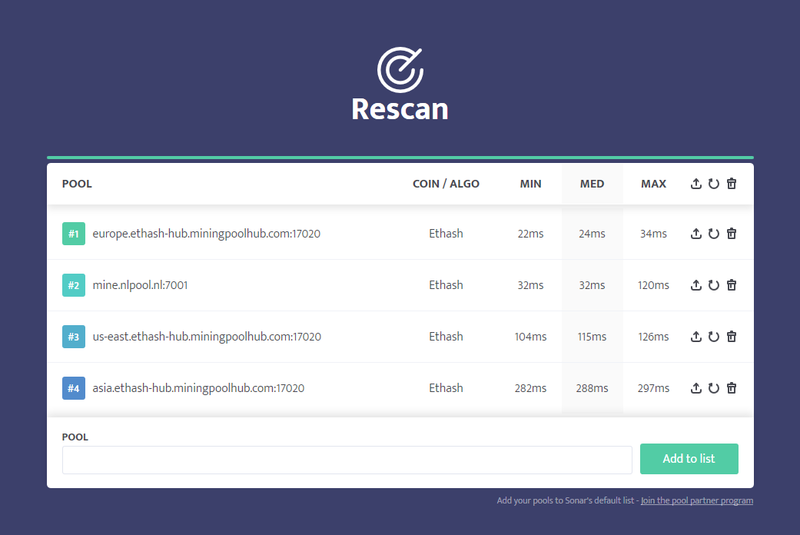 The tool is free to use even if you are not a minerstat customer. Sonar is a simple and light-weight app that can be installed and used on your Windows PC, Mac, Linux, or Raspberry Pi. The data is sent between the Sonar app and Sonar web app where you can control and monitor the results. Unzip the files to the directory of your choosing. Type cd [DIRECTORY] to enter the directory. Double check that you are really placed in the minerstat-sonar-linux directory. Type sudo chmod -R 777 * [DIRECTORY] to get the rights in the directory. Type ./sonar to run the Sonar application. Don’t forget to replace [DIRECTORY] with the actual directory path (the one you unzipped the files to). Sonar web app can be accessed from your Sonar app. When you click on the button [Open], the minerstat’s Sonar website will open in your browser. The web app allows you to select a coin or an algorithm to scan through a list of our supported stratums. Each pool is pinged from your local computer 20 times and the minimum (MIN), median (MED), and maximum (MAX) values are displayed. We decided to use the median value instead of average (mean) as it is less sensitive to outliers. If 1 out of 20 results is very different from the others, this won’t affect the median value as much as it would affect the average value. Export the pool(s) (and then import them to your minerstat dashboard). Sonar is by default scanning through our partner pools (1500+ different stratums) but you are able to add your own to the scan list. 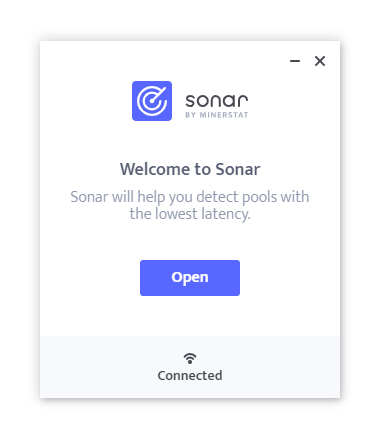 To find the best pools in terms of latency visit the Sonar page. If you are a pool owner and you want your pool to join our pool partners program, please visit our pools page.